Rising costs may force the Ministry of Defence to cut its planned order of 138 stealth jets, officials have suggested for the first time. Interesting isn't it. It took a tier 1 partner to finally admit the truth that we've been screaming about on these pages for months. 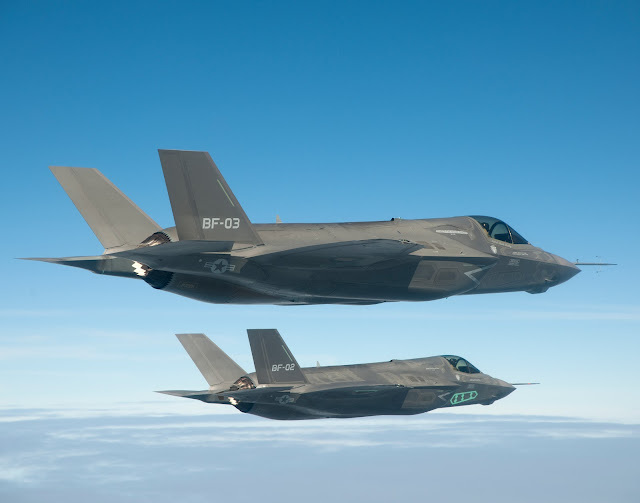 All that talk of declining cost of the F-35 was just accounting gimmicks. The truth is much more stark for our allies that have to sell the plane to their respective govts. The total cost of the F-35 can't be masked...and the plane remains far from cheap. I can't wait to hear from the fanboys on this one. They always appeal to authority by saying that we should trust all the govts, pilots and ministry's of defense that say the plane is golden. What will they say now that a Ministry of Defense says that the cost of the airplane is impossible to predict and that they may cut the numbers bought?